Espiritu Santo Packages include: 3 nights accommodation in Santo, return flights between Efate and Santo & return transfers in Santo. Tanna Packages include: 3 nights accommodation in Tanna, return flights between Efate and Tanna & return transfers in Tanna. For travel from Wellington or Christchurch book the best available domestic fare. Offering 46 rooms of varying configurations to suit all types of travellers. From their spacious Palm Deluxe Apartments with all the comforts of home, the Superior Orchid Rooms, or the slightly smaller, yet still very comfortable, Hibiscus Rooms. Includes: Hot buffet breakfast daily. Bonus: Includes 2 FREE nights! Stay 3 additional nights for the price of 2. Exclusively For You: One bottle of sparkling wine + 1 dinner for two people once during the stay. Set high atop a cliff overlooking the serene Erakor lagoon Mangoes Resort has been designed to pamper you in privacy. A peaceful tropical escape from not only your children but everyone else’s this “child free” boutique resort offers you bliss and relaxation! Includes: Light breakfast daily, complimentary Wi-Fi in Mangoes Restaurant, access to gym & tennis court, and movie library. Bonus: Includes 1 FREE night! 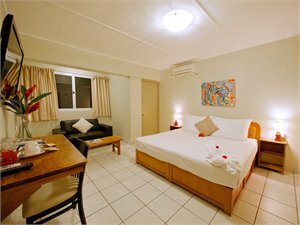 Set on the shores of beautiful Erakor Lagoon, this fully self contained accommodation in a resort setting is only a 15 minute walk or 5 minute taxi ride from downtown Port Vila. Offering a range of accommodation to suit couples and families, the lagoon the lagoon provides safe waters for swimming. Includes: Continental breakfast daily, welcome drink on arrival, complimentary use non-motorised water sports, reef shoes, snorkelling gear and powel towels, limited internet access and complimentary DVD, book and games library. 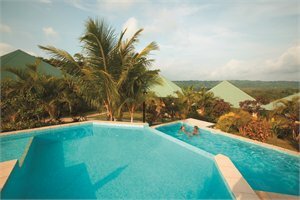 For fun, adventure or relaxation, Holiday Inn Resort Vanuatu is set on the peaceful Erakor Lagoon. The stylish new guest rooms are air conditioned and serviced daily. For the children, there is an exciting new children’s pool, playground and kids club “The Totel Club’’ with daily activities. Includes: Buffet breakfast daily, FREE kids club for children 3-12 years PLUS children under 12 years EAT for FREE from the kids menu when accompanied by a paying adult (conditions apply). Bonus: Save up to 35% on accommodation! Exclusively For You: One themed night buffet dinner (Tue/Thu or Sat) for 2 adults and 2 children under 12 years PLUS 5 hours FREE babysitting per room per stay. 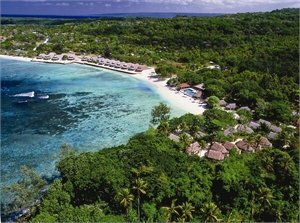 Situated on 75 acres of exotic tropical gardens on the edge of Erakor Lagoon in Port Vila, Warwick Le Lagon - Vanuatu is an enchanting vacation destination that oozes South Pacific charm. 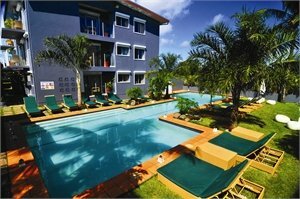 The resort is 3km from Port Vila, making it minutes from markets, restaurants and attractions. Includes: Full breakfast daily and complimentary use of kayaks, wind surfing, snorkelling, beach volleyball and catamarans. Bonus: Save up to 50% PLUS up 2 children 12 years and under can PLAY and EAT for FREE when sharing with adults (conditions apply) PLUS unlimited golf green fee and club hire. Exclusively For You: One Sunset Cruise and 3 hours of babysitting per room per stay. 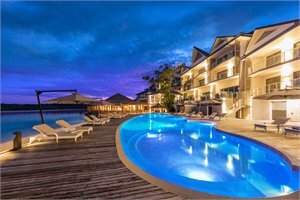 Ramada Resort Port Villa is a newly built full service beachfront resort nestled on the cliffs of Erakor Lagoon, just a few minutes from downtown Port Villa. Offering 80 self-contained apartments with panoramic lagoon views, this premier resort caters to couples looking for a quality getaway, families, conferences and retreats. Includes: Buffet breakfast daily, complimentary Wi-Fi up to 500mb per room per day, complimentary use of snorkelling equipment, kayaks and stand up paddle boards and complimentary daily activities program. Exclusively For You: A $50 food & beverage credit per room, a sunset cruise with Eleanore by Ramada for 2 adults once per stay and 20% off spa treatments. Stay 3 additional nights and receive an additional $50 food & beverage credit per room. 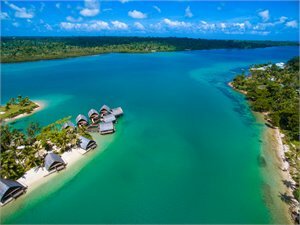 Breakas Beach Resort Vanuatu has redefined the boutique holiday experience by providing an intimate holiday retreat for adults only. Set amidst swaying palms, 63 Fares offer romance and escapism for the holiday-maker pursuing more than a hotel room experience. NOTE: Children 15 years and over are welcome at this property.Tourism Levy of VT200 (NZ$2.80) per Fare per day payable direct. Free night already included in price. Includes: Continental breakfast daily, welcome fruit cocktail, introductory scuba-diving lesson in resort pool, guided cultural tour of local village, local cooking class, and use of stand up paddle boards, kayaks and snorkelling equipment. Exclusively For You: One cocktail for two per stay. Stay 2 additional nights for the price of 1 PLUS also receive a $100 food & beverage credit per room per stay. 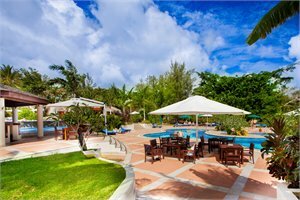 Set across 69 acres of lush tropical gardens this tranquil private island has over 130 guest rooms in two distinct styles of accommodation, you will have the choice of indulging in one of the tropical Island Fare’s (bungalows) or family friendly Apartments. Includes: Buffet breakfast daily, welcome drink on arrival, complimentary WI-Fi and use of non-motorised water sports. Bonus: Save up to 30% on accommodation! Exclusively For You: Stay 3 additional nights and receive 1 x 30 minute massage per person and 1 cocktail per person per stay. 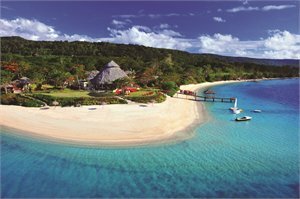 The Havannah, Vanuatu is a tropical retreat exclusively for adults, where romance meets affordable luxury. 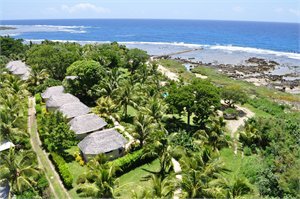 Located on the sunshine coast of North West Efate on a beautiful white sandy beach and yet only 30 minutes away from the bustling Port Vila. Includes: Welcome drink on arrival, complimentary afternoon tea twice daily Port Vila shuttle, nightly turn down service, complimentary Wi-Fi in villas & public areas and complimentary use of non-motorised water sports equipment PLUS complimentary local flowers in the room on arrival and complimentary sunset cruise each evening. Bonus: Full breakfast, 2 course lunch and 3 course dinner daily PLUS a Havannah Picnic on a secluded beach with sandwiches, tropical fruit, chocolate brownies, bottles of water and a bottle of sparkling wine PLUS a 30 minute massage per adult per stay. The Espiritu provides boutique hotel accommodation conveniently located in the heart of town and only minutes away from cafes, shops and dive operators. Offering modern and contemporary rooms that reflect a home away from home to suit all travellers and a swimming pool to relax and enjoy. Includes: Tropical breakfast daily and complimentary Wi-Fi. Aore Island Resort is a magnificent beachfront resort set on a private island surrounded by a coconut plantation. Enjoy authentic Melanesian cuisine at the hotel’s restaurant. Rejuvenate your mind and body at the Aore Day Spa. NOTE: Tourism levy of 100VT per room per night is payable direct on check-out. Includes: Continental breakfast daily and complimentary use of kayaks, push bikes and stand up paddle boards. 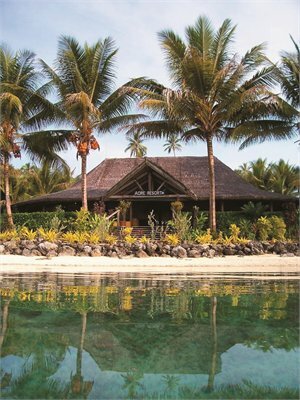 White Grass Ocean Resort is the most superior accommodation in Tanna offering uninterrupted views of the Pacific Ocean. The resort’s 14 south-sea style Bures are nestled amongst landscaped tropical gardens and the surrounding villages. The only resort of its kind on the island. Includes: Tropical breakfast daily, return airport transfers, free use of snorkelling equipment, bikes, kayaks and a daily guided snorkelling tour to Turtle Reef in Tanna. Bonus: Save up to 25% on accommodation! Exclusively For You: A 30 minute neck, back and shoulder massage per person. PACKAGE TERMS & CONDITIONS: It is our policy to present the cost of our holidays inclusive of all airport and government charges. Please accept however that these charges are not within our control, therefore we reserve the right to pass on any increase.. Travel agent professional service fees where charged, will be additional to the advertised prices. Closeout and blackout periods apply over school holidays and peak holiday periods & availability of seats & rooms is likely to be very limited over this time . Prices are based on direct flights unless stated otherwise. Payment & ticketing deadline - no more than 7 days after reservation confirmation. *Child prices are based on one or two children of 2-11 years sharing a twin room with 2 adults (varies by property and room type). Valid for sales to 27 Apr 2019. Valid for travel commenced and completed within the period 29 Apr 2019 to 23 Dec 2019 (unless otherwise specified). Minimum 4 night stay..Prices are ex Auckland. 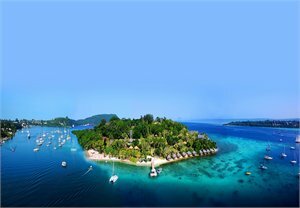 Book Air Vanuatu NF International "T" Class ex Auckland to Vanuatu for travel 29 Apr - 20 Sep 19. Book Air Vanuatu NF International "Q" Class ex Auckland to Vanuatu for travel 14 Oct - 31 Dec 19.. Routing: AKL-VLI (NF) and v.v. For Espiritu Santo & Tanna - book Air Vanuatu domestic T Class, these must be booked inconjunction with Air Vanuatu International flights. Not valid on NF20 & NF21. Domestic departure tax of VT200 per person is payable direct at the airport on departure. Routing: VLI-SON/TAH (NF) and v.v. Efate 4 nights holiday packages are valid departing on Saturdays and returning on Wednesdays. Santo & Tanna holidays do not include International flights. Sightseeing is subject to availability. Prices shown are based on per person costs in New Zealand Dollars, for payment by cash, cheque or eftpos only. Credit card sales not permitted unless Travel Agent acts as a merchant. Capacity limitations apply and may not be available on all services. Travel requiring an overnight stay in New Zealand will be at passengers own expense. Events beyond our control such as currency fluctuations and changes to the price of aviation fuel may result in prices variations . Strict cancellation fees apply. Packages are based on consecutive nights. For split stays please contact your travel consultant. These airfares are not eligible to accrue Airpoint Dollars. They are not upgradeable using airpoints and no Airpoints Companion tickets may be purchased in conjunction with these fares. For full terms and conditions and cancellation fees please contact your local travel agent for more information. Trade enquiries via GO Holidays. ISSUE DATE: 08 Apr 19.